Transform your living space into a sanctuary with Charisma’s Hue collection of luxury scented candles in contemporary coloured glassware. Hand poured with a natural wax blend of the highest quality infused with the finest fragranced oil imported exclusively for Charisma. Each luxurious candle draws on a rich blend of scents specifically designed to amplify your senses and create ambiance within your space. Used to express our thoughts and feelings, the colours with which we surround ourselves can affect our mood. They can uplift our spirits, enhance our surroundings or create a sense of tranquillity. Available in a wide range of colours, The Hue collection allows you to select a colour and scent that will reflect your personal style. These stylish pieces add elegance as well as richness and ambiance to your living space allowing you to create a feeling of sensuous luxury. Create a softer mood and add richness to your living space with these luxury translucent tealight holders from Charisma’s Hue Collection. These tealight holders are packed in sets of 4 and are available in the same colours as the Hue Luxury candles. Looking to introduce classic sophistication and elegance into your home? 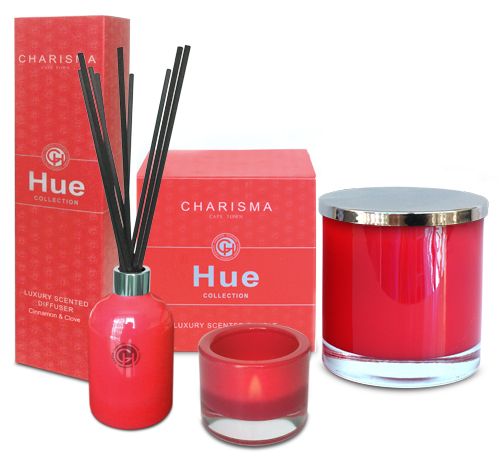 Charisma’s new range of luxury scented diffusers in 9 exciting colours will do just that. 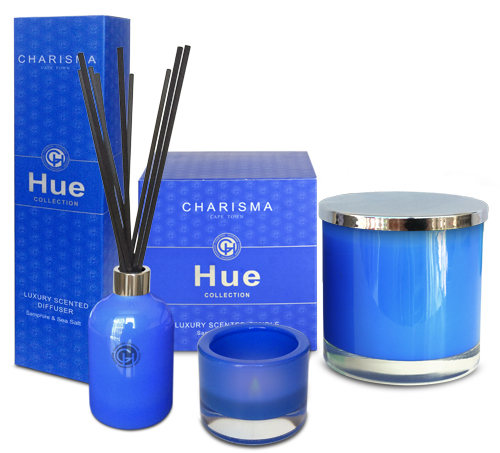 Matched perfectly to the colour and scent of the iconic large glass candle and the colour of the tea light holders that form part of Charisma’s current Hue Collection, these diffusers allow you to carry your favourite Hue scent throughout your home. Packaged in contemporary coloured glassware, each diffuser has been hand poured using the finest fusion of fragranced oil created by one of the world’s leading perfumers in Grasse, France and imported especially for Charisma. Each one emits a rich blend of scents specifically designed to add beautiful scent and stylish design to your space. Used to express our thoughts and feelings, the colours with which we surround ourselves can affect our mood. They can uplift our spirits, enhance our surroundings or create a sense of tranquillity. 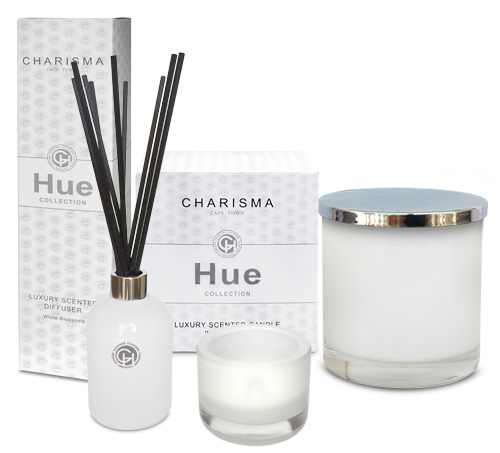 Available in a wide range the Charisma Hue Collection allows you to select a colour and scent that will reflect your personal style.